Throughout Latin America, observers and activists have found in religion a promise of deep and long-lasting democratization. But for religion to change culture and politics, religion itself must change. Such change is not only a matter of doctrine, ritual, or institutional arrangements but also arises out of the needs, values, and ideas of average believers. 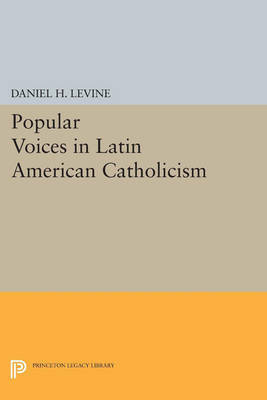 Combining rich interviews and community studies in Venezuela and Colombia with analysis of broad ideological and institutional transformations, Daniel Levine examines how religious and cultural change begins and what gives it substance and lasting impact. The author focuses on the creation of self-confident popular groups among hitherto isolated and dispirited individuals. Once silent voices come to light as peasants and urban barrio dwellers reflect on their upbringing and community, on poverty and opportunity, on faith, prayer, and the Bible, and on institutions like state, school, and church. Levine also interviews priests, sisters, and pastoral agents and explains how their efforts shape the links between popular groups and the larger society. The result is a clear understanding of how relations among social and cultural levels are maintained and transformed, how programs are implemented, why they succeed or fail, and how change appears both to elites and to ordinary people. Originally published in 1992. The Princeton Legacy Library uses the latest print-on-demand technology to again make available previously out-of-print books from the distinguished backlist of Princeton University Press. These editions preserve the original texts of these important books while presenting them in durable paperback and hardcover editions. The goal of the Princeton Legacy Library is to vastly increase access to the rich scholarly heritage found in the thousands of books published by Princeton University Press since its founding in 1905.